Hellekson, Karen. The Alternate History: Refiguring Historical Time . Kent State University 2001. Published: Kent State University 2001 (0873386833w88 android). 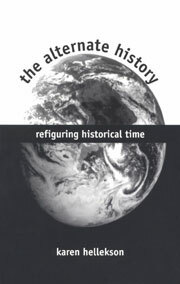 A formal publication, with some revisions, of Hellekson's doctoral dissertation Refiguring Historical Time: The Alternate History , University of Kansas 1998.